Axoloti Control still in dev? 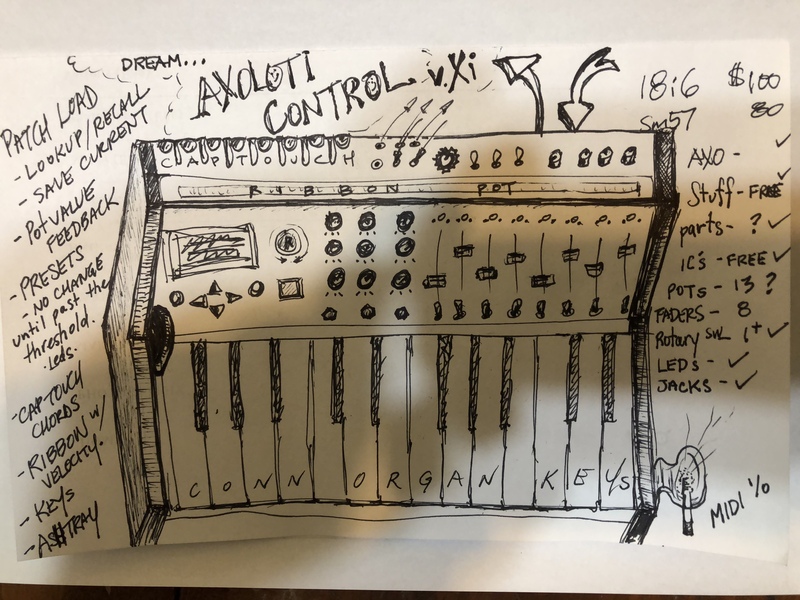 I think about control my axolotl in live and i don't know if the axolotl control is still in development and planned for soon ? If not i will make a controller with an arduino i think, i have seen some topics who talk about that. I find that once you get started using axoloti, you want to use either you own personalized controls, or any existing MIDI controller. The more you use it, the less appeal a generic "axoloti controller" has. If the Axoloti Control do not use user available GPIOs I think it can be complementary to the custom controller. 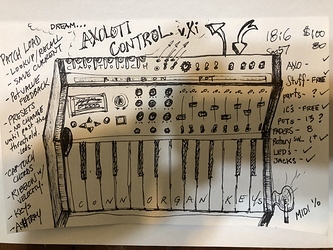 I know that it's possible to add some potentiometer and switch but i forgot to say that i need a screen and i think it's more easier to connect screen to an arduino than the axolotl itself no ? some will still want custom controllers, e.g. because they want lots of dedicated pots/sliders, but for more generic control its going to be perfect. so definitely a role for both. Yes, the Arduino has lots of libraries (many by Limor Fried) to handle displays. Even on the Arduino, i think it is better to use "genuine" displays (from Adafruit or Sparkfun) especially concerning touch sensitive TFT displays (i had a bad experience with low cost TFT...). I recently did a few limited and very specific direct use of small 128x64 OLEDs I2C connected to the Axoloti. Even if it is successful, I must say that it is no easy stuff without libraries. 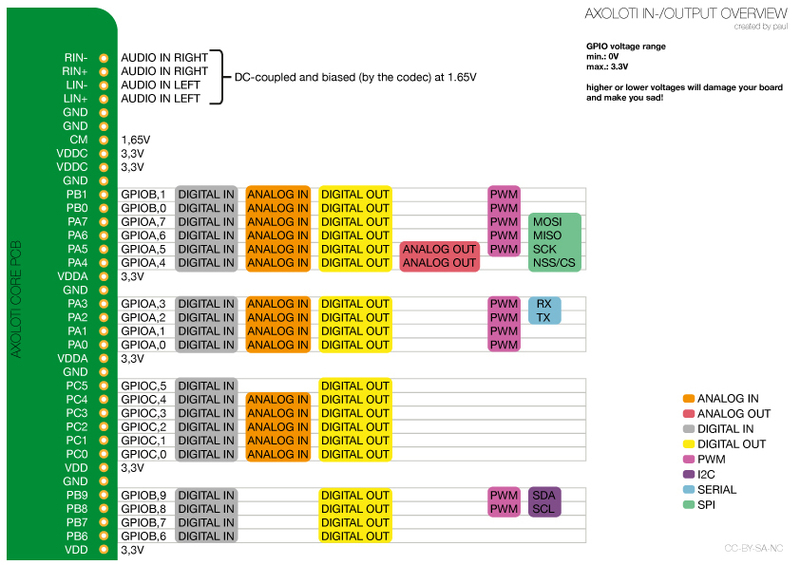 I can't imagine how difficult it would be to control larger TFT displays... and i prefer to use the Axoloti CPU for audio. A generic controller will be able to deal with parameters and patches and some real time control. Patches designed for it will be shareable with other users. My mistake, I understood axocontrol instead of axoloti control... Not the same thing, indeed. I'm really looking forward to the Axoloti Control being released, I have to say. Do you happen to know what kind of display the current version uses? I'm thinking it's a bit of a missed-opportunity if it's not a lovely, crisp OLED, or at least a nice-coloured negative-mode LCD. Having said that, I do tend to fetishise details like this. I'm pretty sure it's going to be great, whatever display is used! Any news in th Axoloti Control? I was expecting some news for Superbooth, but nothing new as far as I know. Any more recent news on this? I'm still holding out for the controller. afaik yes... Johannes had it with him a superbooth, and its a working prototype. its an interesting 'product' which is trying to tread a fine balance of cost (price) and functionality, where there is no right answer - as every potential user will have a different idea of where that price/functionality should be, depending on many factors. so not sure if that prototype is what will eventually be released - which i think is why nothing concrete has been said. so still active - but no idea when it'll be released, but be assured Johannes knows its important to alot of users, and important to the axoloti platform. Good to know. I'd love to see a metal case for the controller + Axoloti, when it's released.